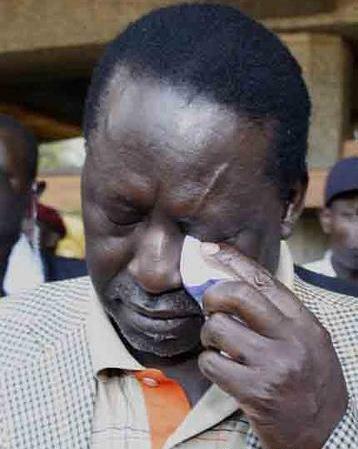 « Balala and Mutula had to go. Plain and simple. In 2007, in the wake of the disputed elections, Ruto was ODM’s most vocal defender at KICC and Uhuru was the first to clinch the ignominious title of an opposition leader defecting to the ruling party. Kalonzo was an opportunist, just as he is today, waiting to benefit from whatever outcome. Then came PEV and subsequent formation of the coalition, and we had no less than three opportunities to form a local tribunal and we didn’t. RAO, Kibaki and the entire cabinet even once came to parliament to beg members to vote for such a tribunal in vain. The reason was Ruto, being then in ODM which was not really an equal partner in the coalition, was afraid he would be made the scapegoat. UK probably never thought he could be touched. And so the inevitable happened, Ocampo came calling and now WSR and UK are in the difficult position they are in. What astounds me is the fact Ruto’s and UK’s supporters and/or tribesmen, even the most learned, take every opportunity to blame RAO for this turn of events, even when we know that our own parliament and the same accused individuals insisted on going the hague route. It is fine to hate Raila for whatever reason including the fact you only want your “man” in power, but give the devil his due and just admit the hague matter was a poorly calculated move by the gang now operating under the moniker G7. In any case if anyone stands to benefit, and who fully intends to as the cat was inadvertently let out of the bag by Muthama, then it is Kalonzo –he of the shuttle diplomacy that’s akin to wolves and chickens voting what’s for dinner; he who sacked Mutula from the MoJ the other day for stating clear points of law, and he stood uncondemned. Yet when RAO sacks Balala, a minister who had made it his business to light fires within the ODM boat at every waking opportunity, we get this hue and cry from the G7 brigade. Let us have an honest discourse: Why is RAO blamed for everything that goes wrong even from choices made by those affected? This entry was posted on April 13, 2012, 2:26 pm and is filed under politics. You can follow any responses to this entry through RSS 2.0. You can leave a response, or trackback from your own site. It could be because he like Kalonzo stands to benefit..
How so, will Ruto’s and Uhuru’s people vote for him because the two aren’t running? Even if he were to benefit, which he will not, how does that make him responsible for people going to the ICC when the same peole and their minions refused to form a local tribunal and insisted on the Hague route?